At the core of Ian Wild’s teaching work is providing face to face, ‘in-person’ tuition. This can be to either individuals or groups. His work currently takes Ian all around the Edinburgh, Midlothian and Fife area. He is happy to travel to you or to a location to suit. Why choose Your Maths Tutor? After many years in industrial research and development as a professional physicist, Ian has now been teaching and tutoring for over ten years. He has built up a wealth of experience in teaching and tutoring. To learn more about Ian and his work please check out the About pages. Ask to see Ian’s Enhanced DBS certificate for complete peace of mind. Struggling to find the time for face to face tuition? 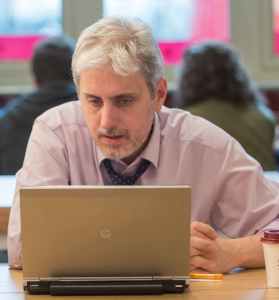 Ian is also a recognised expert in online teaching, having been involved in the design and development of global online learning systems for a number of internationally recognised organisations including Nord Anglia Education’s Global Campus, University College London Moodle, the National Skills Academy for Health E-learning platform, and many more. For more information regarding online tuition please click here!